Thinking about purchasing a luxury home? You might need a jumbo mortgage to go along with it. Jumbo mortgages are loans that exceed the “conforming loan limit,” the maximum loan amount that Fannie Mae and Freddie Mac will purchase on the secondary market. For 2017, the conforming loan limit for a one-unit property is $424,100 in most parts of the country, including South Florida. In high-cost areas, the ceiling is now $636,150. Any mortgage higher than the conforming limit is considered a jumbo loan. So, for example, if you are purchasing a $600,000 home and plan to put down 20 percent and finance the rest, you would need a jumbo loan. Jumbos were once perceived to be risky due to their size, but today, many banks consider the creditworthiness of the borrower to be an advantage. That has resulted in competition among lenders for the affluent jumbo customer — and that competition has been driving interest rates down over the past few months. In some cases, jumbos are even priced lower than conforming loans. Be sure to shop around. Consider applying at a bank with which you already have a personal or business banking relationship. “Banks are apt to be looking for a relationship with a consumer versus just a transaction, and they’re willing to negotiate both an interest rate and fees in order to keep a client or develop a new relationship,” says Lori Neff, a senior vice president at Florida Community Bank, where over 60 percent of the mortgages it originates are jumbos. Borrowers with a relationship could save up to an eighth of a percentage point on the interest rate, she says. Most jumbo loans are not sold to investors, but are kept in a lender’s portfolio. As a result, these jumbos are not subject to the strict guidelines of the investors that purchase loans. 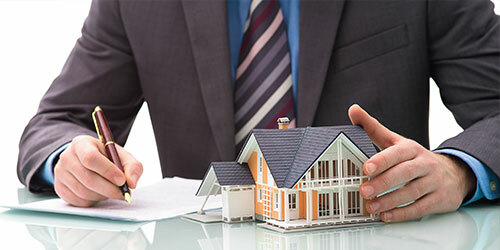 That gives lenders more flexibility during the application process.